Scientists have long known that testosterone, along with other hormones, plays a role in one’s chances of developing Alzheimer’s. Years ago, studies found that low levels of testosterone in men increased the risk of this form of dementia. However, researchers have now stumbled across new information about the association between the hormone and the disease: High levels of testosterone may be linked to increased aggression in men with Alzheimer’s. The study was conducted by researchers at the University of North Texas Health Science Center, who evaluated 87 elderly men diagnosed with mild to moderate Alzheimer’s. 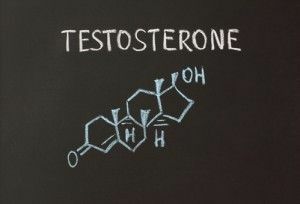 The findings showed that there was a 5.5 times greater likelihood of experiencing hallucinations and exhibiting acting-out behavior among those with high testosterone compared to those with normal or low levels. Dr. James Hall, a professor of psychiatry and behavioral health at UNT and lead investigator of the study, pointed out in a news release that this may have a great effect on the way older men are treated for low testosterone levels. As he noted, doctors may suggest testosterone-replacement therapy for older men to reduce the chances of complications, including the risk of developing Alzheimer’s; however, this may not be the best practice for those who have already been diagnosed with dementia. What does this mean for caregivers? Hallucinations and aggression can be very difficult for caregivers to deal with. This is especially true when seniors with this form of dementia aggression are not under the care of a professional trained to detect sudden changes in behavior and handle combative situations. In addition to recommending that doctors reconsider testosterone-replacement therapy, Dr. Hall believes that more studies are needed to further understand the role that testosterone plays in the development of Alzheimer’s. This could lead not only to ways to relieve the symptoms of the disorder but also to specific treatments and better ways to identify patients at risk of dementia aggression.